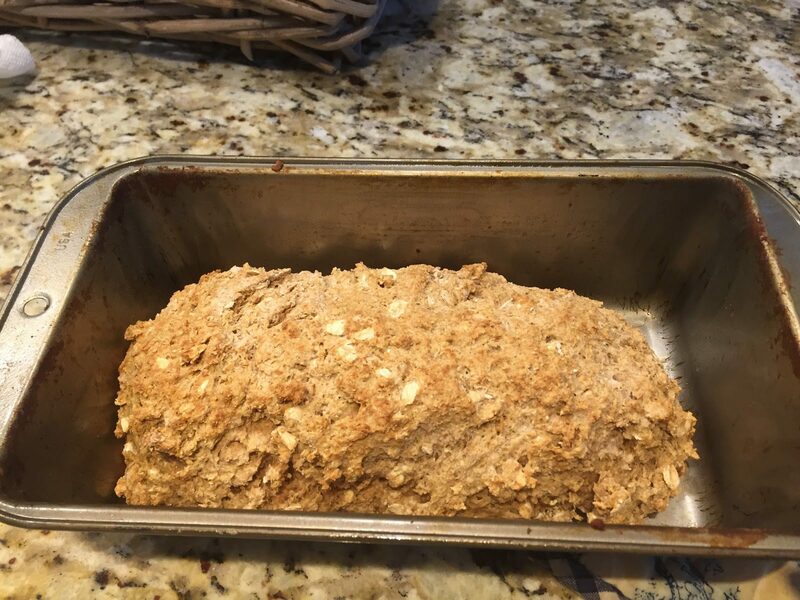 This bread looks so yummy and – – – no yeast! 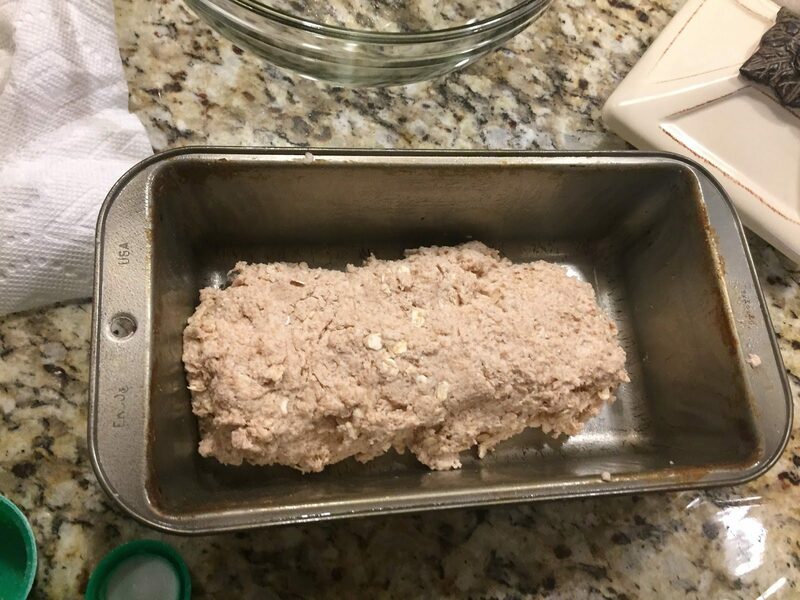 Should be a snap to make. 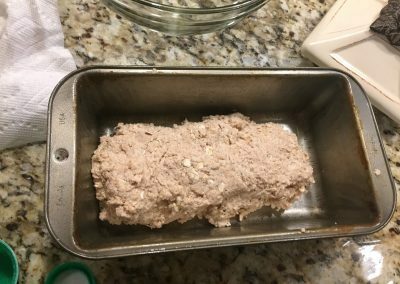 Preheat the oven to 375 degrees F. Butter an 8-by-5-inch metal loaf pan. 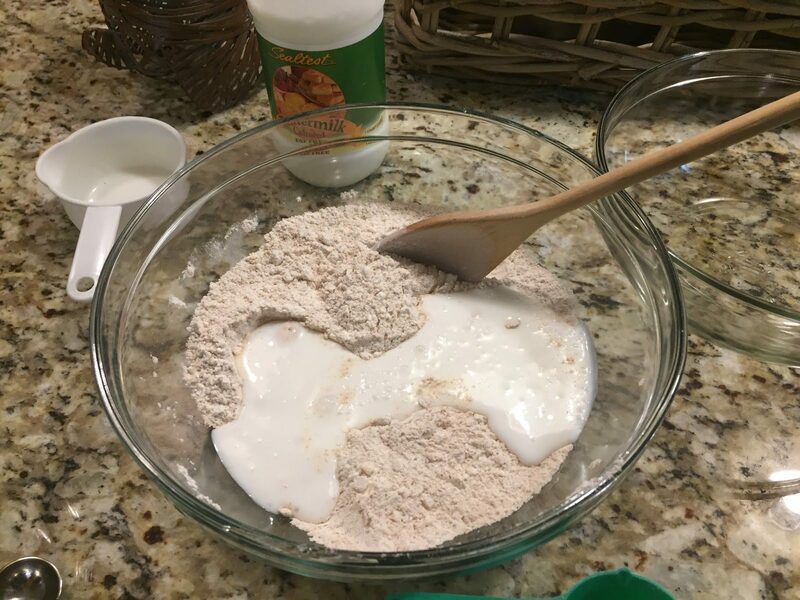 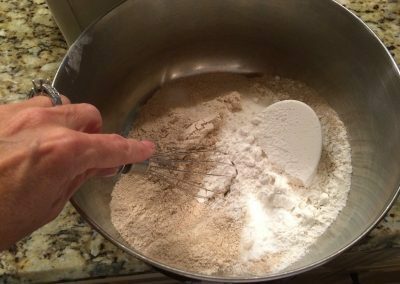 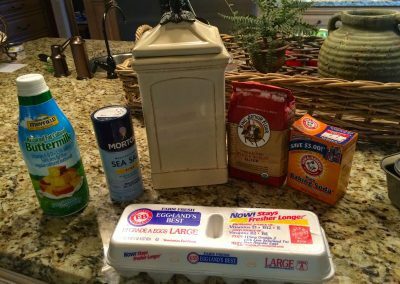 In a large bowl, whisk both flours with the baking soda and salt. 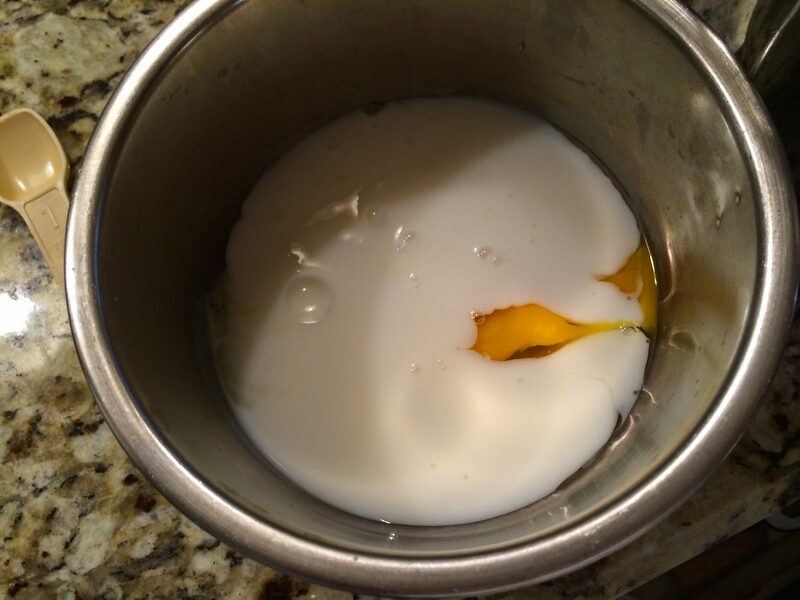 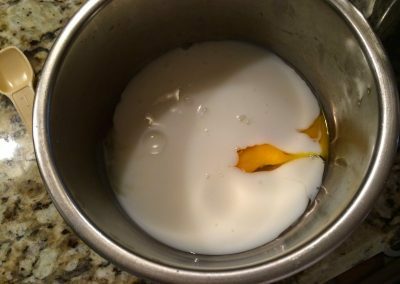 In a small bowl, whisk the buttermilk with the egg; stir into the dry ingredients with a wooden spoon until a rough dough forms. 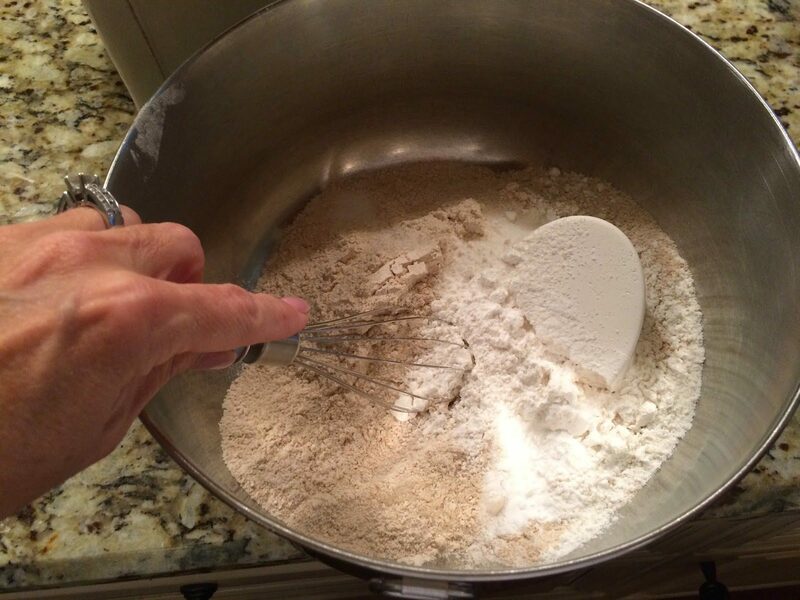 Transfer the dough to a lightly floured work surface and knead a few minutes until smooth. Form the dough into a loaf and put it in the prepared pan. 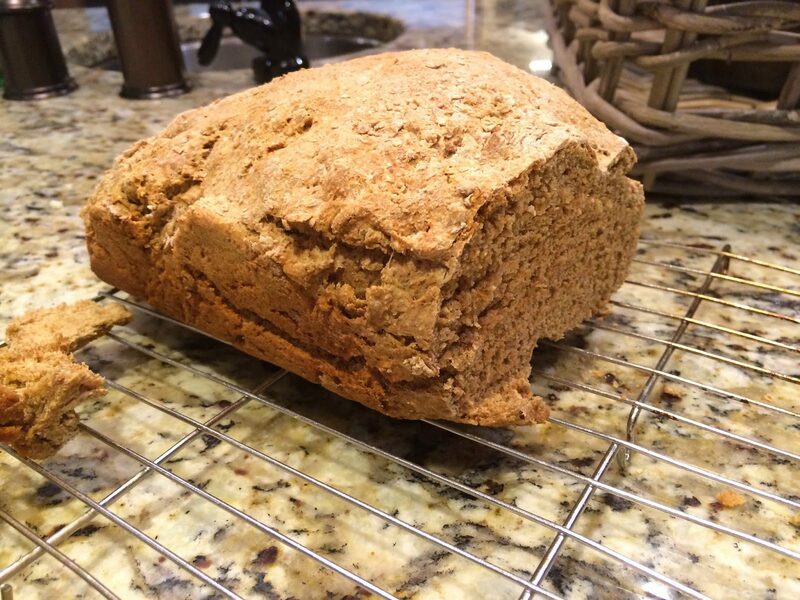 Bake for about 50 minutes, until the bread has risen about 1/2 inch above the rim of the pan. 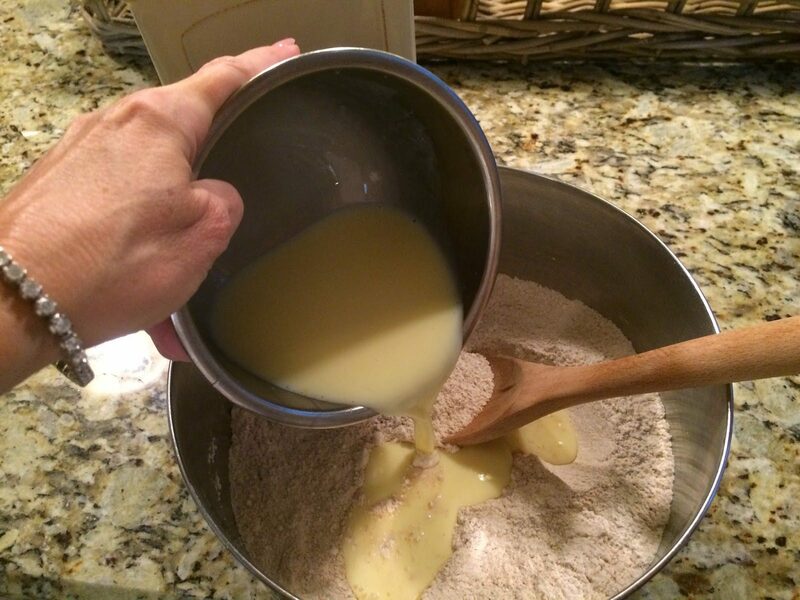 Once unmolded, the loaf should sound hollow when tapped on the bottom. 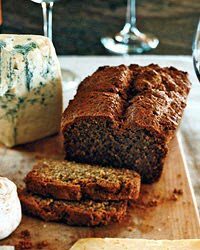 Let cool to warm or room temperature, then slice and serve. 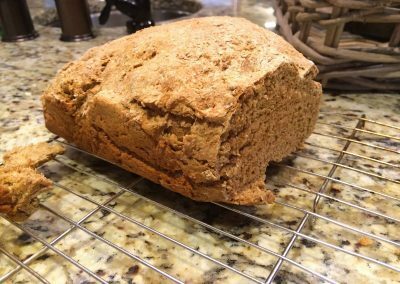 Here’s another Irish Soda Bread recipe from Closet Cooking. 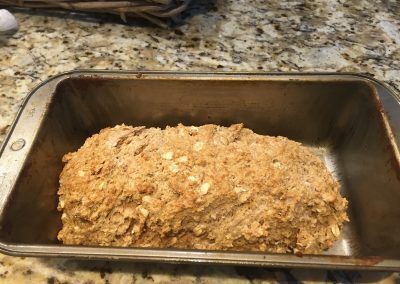 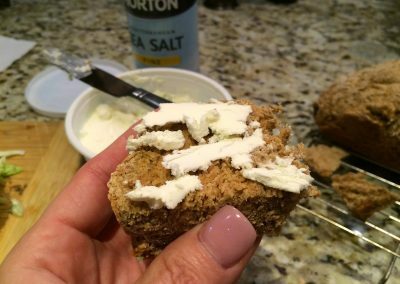 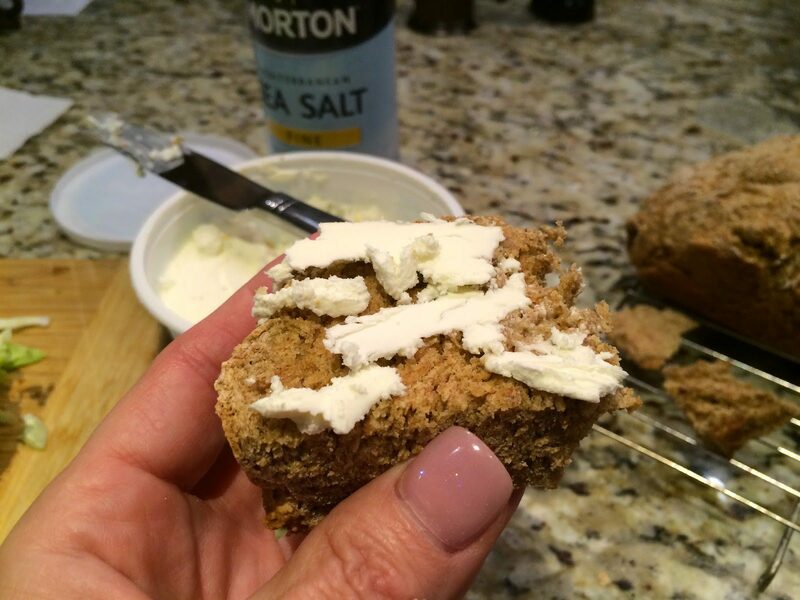 It makes a smaller loaf and includes rolled oats and again, no yeast. 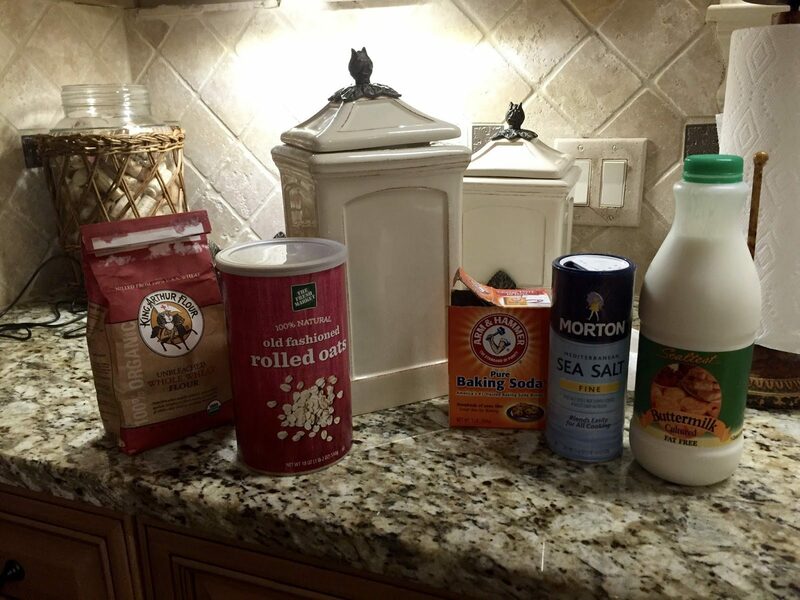 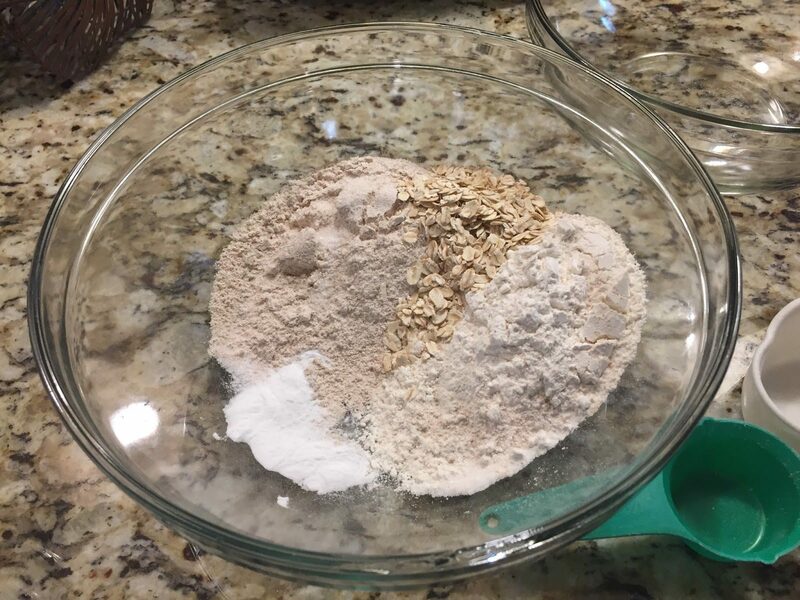 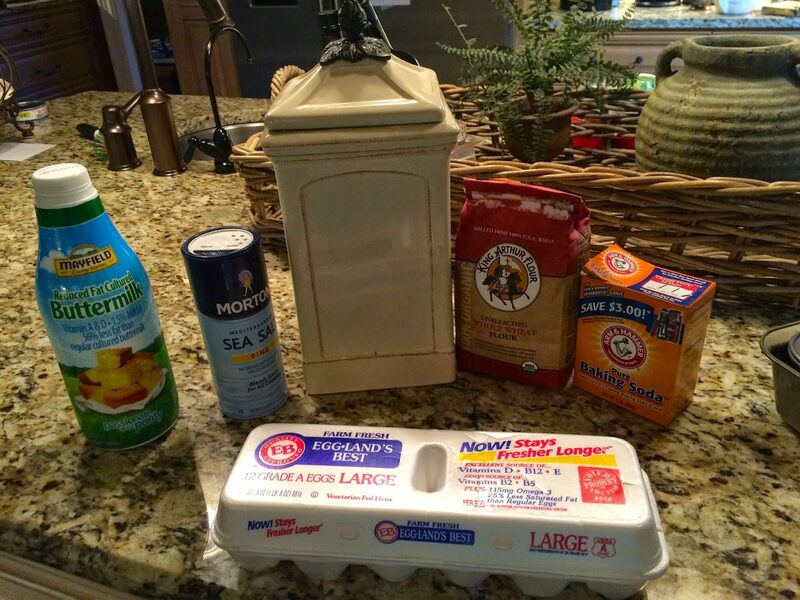 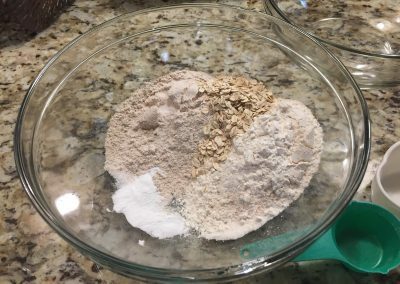 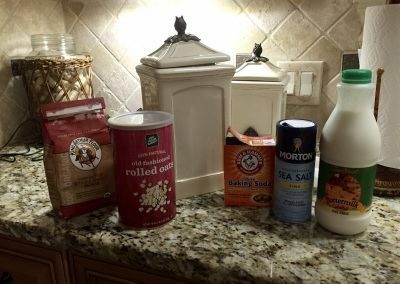 Mix the flours, baking soda, salt and rolled oats in a bowl. 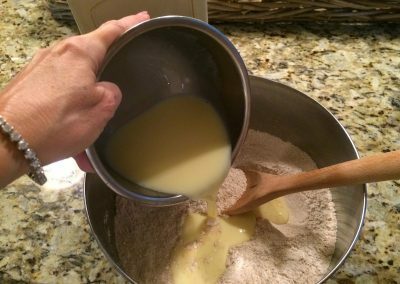 Mix in the buttermilk and form a dough. 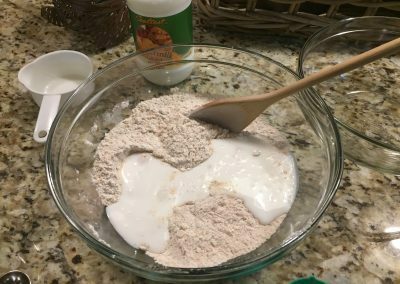 Shape the dough and place it on a baking sheet or in a loaf pan. 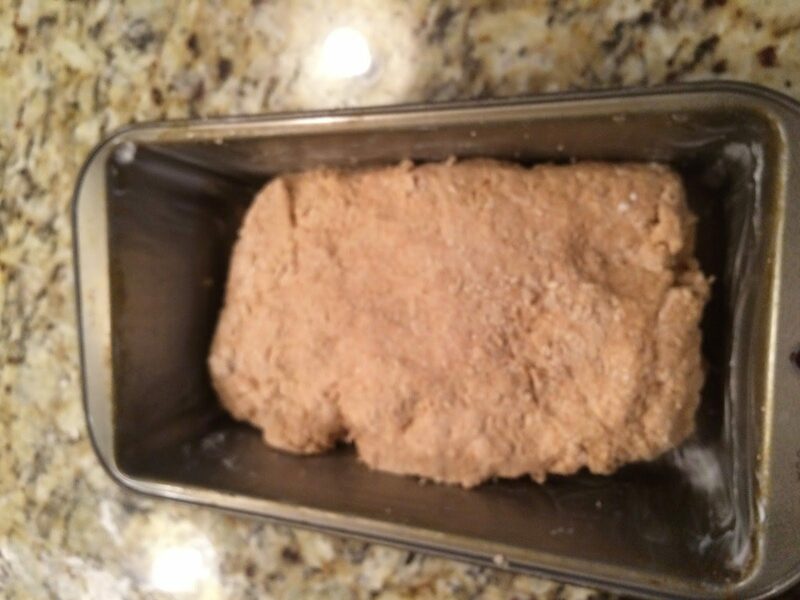 Bake in a preheated 375 degrees F oven for 40 minutes (the top should be golden brown).